Featured! 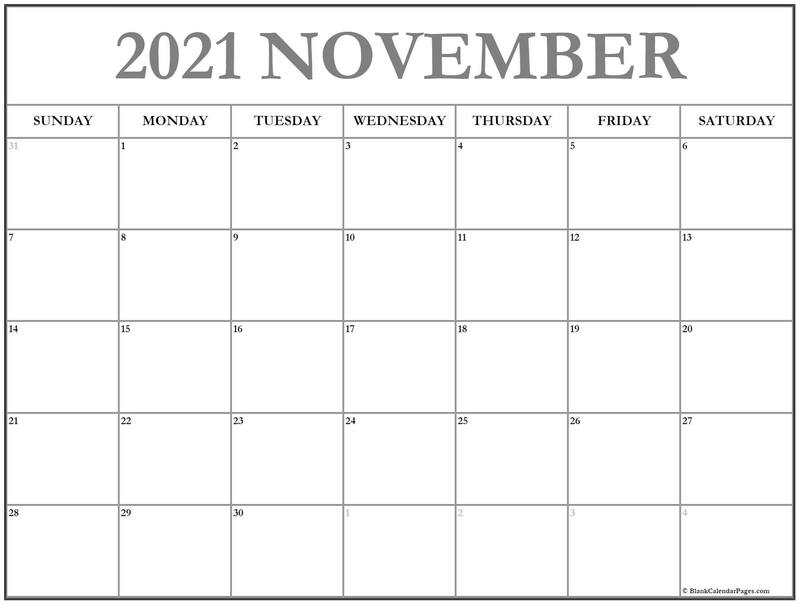 This November 2021 free printable calendar is the new HD version of our classic and super-popular calendar. New! 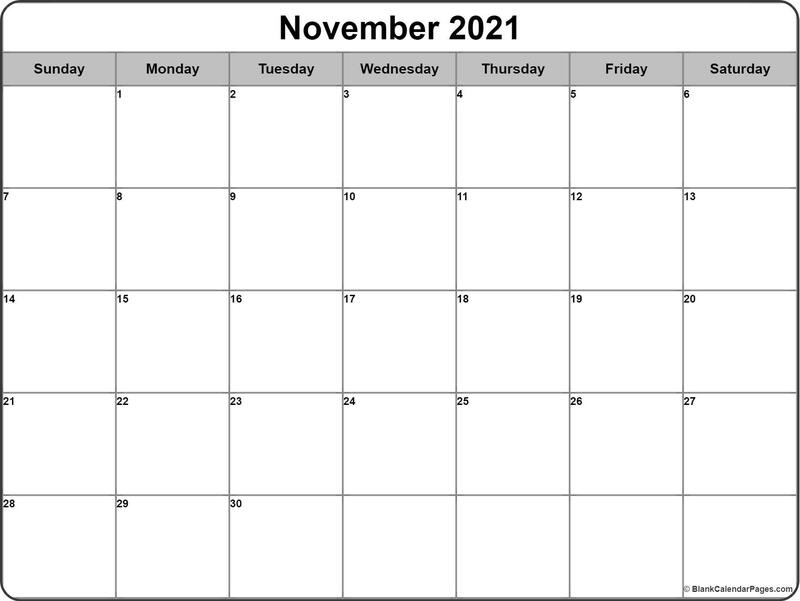 This new HD design features the popular year-month format November 2021 calendar New custom template that's gaining popularity. Download your's today. New! 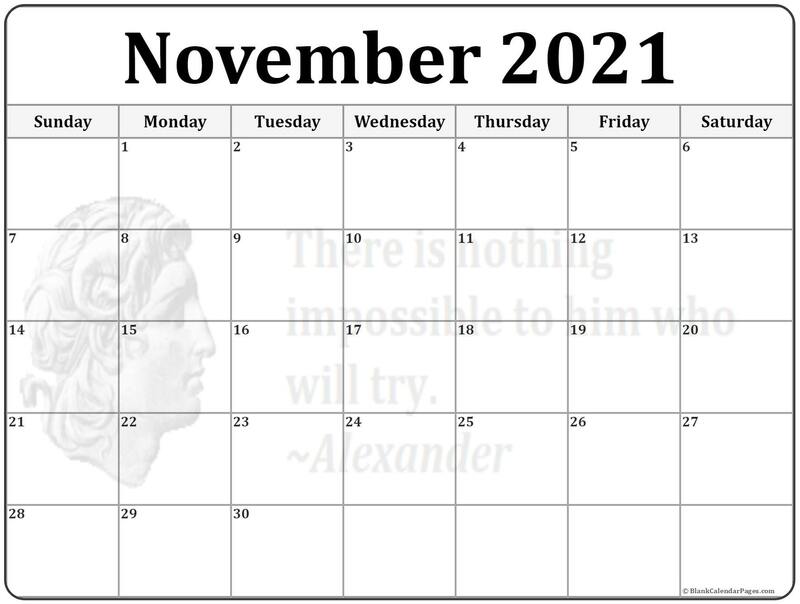 This new November calendar. New design that's ready to print. 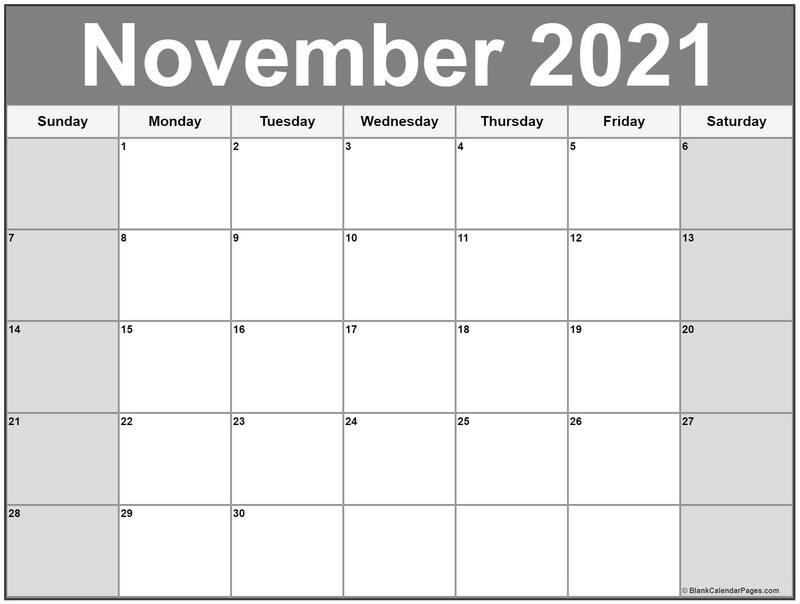 HD design features the popular year-month format. 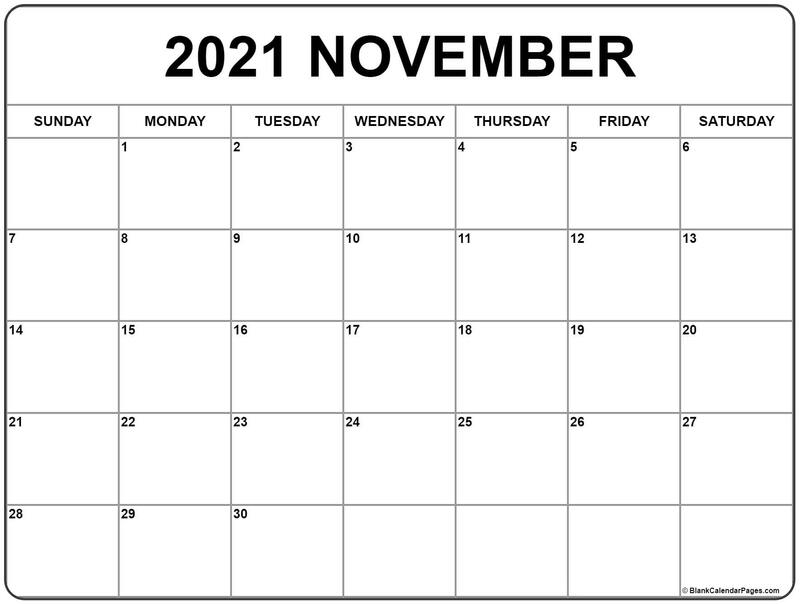 November calendar 2021 Our new calendar in a light Gray title and Black letters. Easy on the ink,and a popular format. This calendar uses the Year Month format as preferred by some folks. 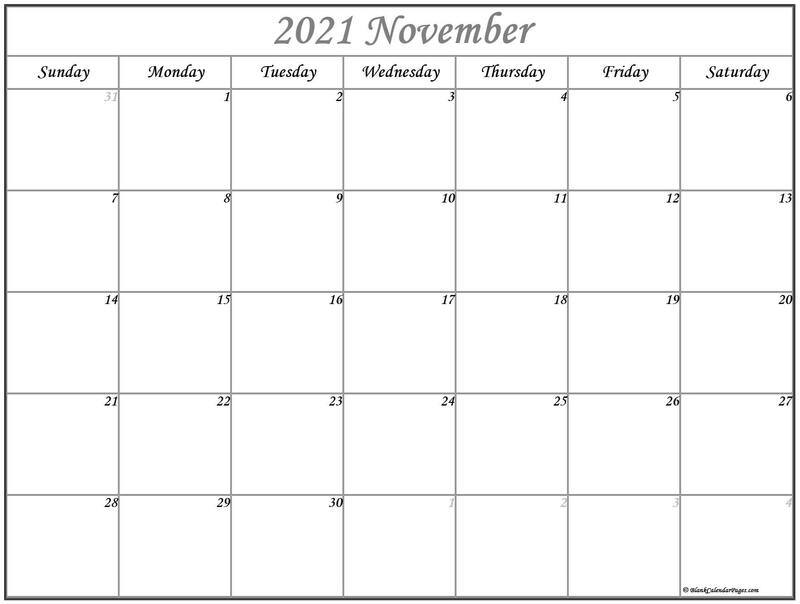 November 2021 monthly free printable in light gray. Get it today! Our classic simple blank calendar in a light Gray banner and Black letters. Still easy on the ink, and provides a nice accent. Very nice. At a glance, you can reference your health and excercise gaols, and the nutrition plan to help you achieve your desired look. Perhaps you're on a strict diet and need to plan meals. Perhaps you are planning a trip to the doctor and need to record some vitals that may be up for discussion. Record as you go on your November planner for optimum health. This printable calendar template provides the most space for your notes with absolutely no clutter. Simple, minimalistic, no unnecessary wasted space. 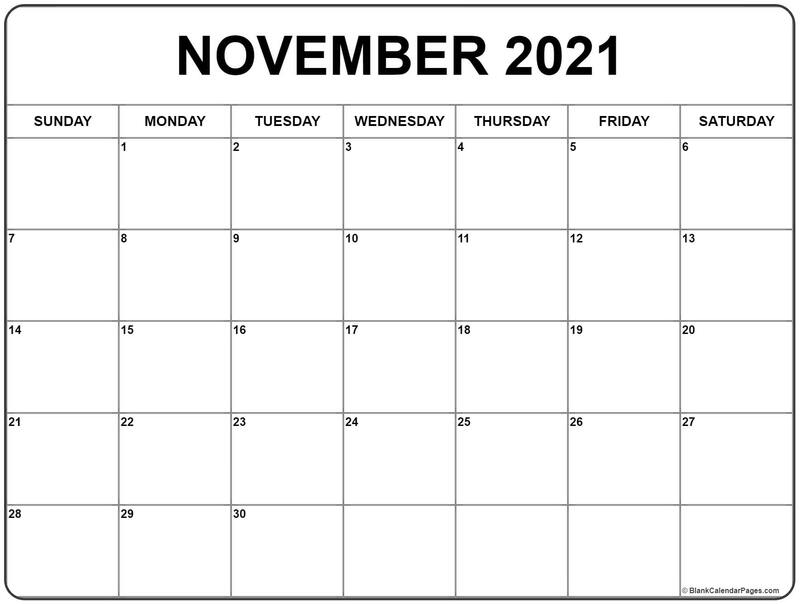 This is our classic November 2021 calendar. Click on the image and print it out....Always for free! Please keep in mind that we follow a 5 week pattern, so some months may contain days that wrap around and back to the top. This ensures we have maximum space alloted to each day, for all your notes. 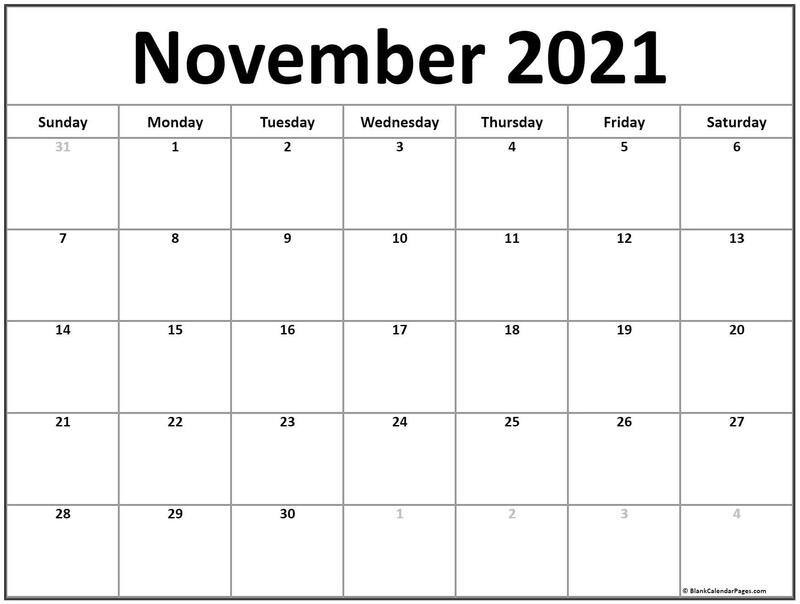 November 2021 agenda that can be used as a school calendar. New grayscale calendar in a light Gray banner and White letters. Nice and bold and always free to print and use. 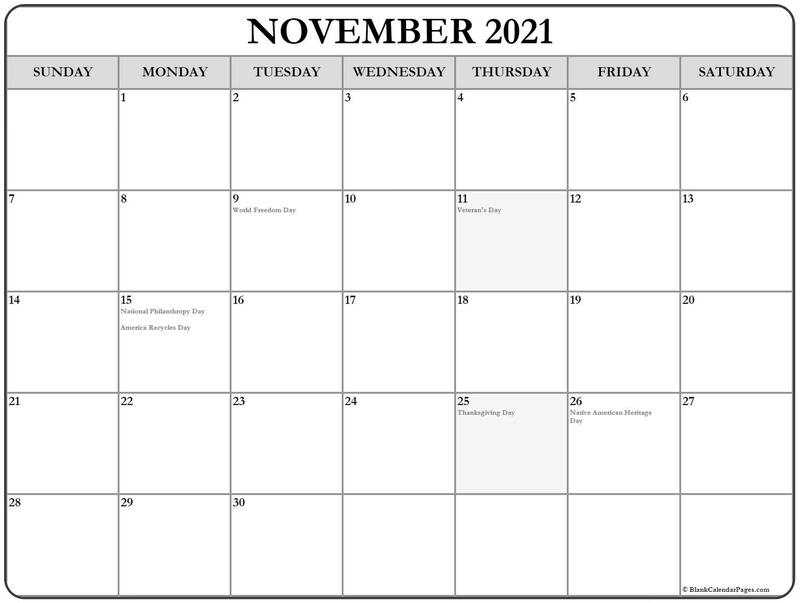 Calendar November 2021 free monthly planner dark gray. 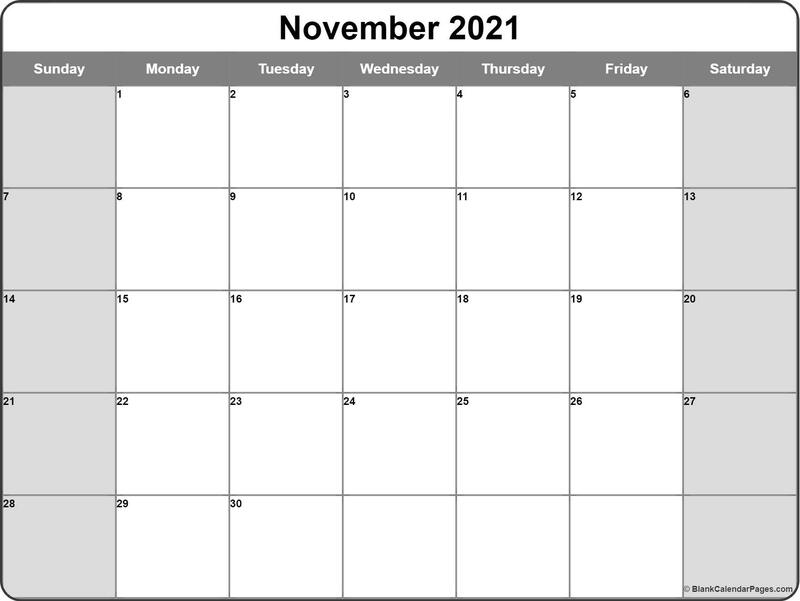 Download or print this template now November 2021 calendar template. A bit heavy on the ink, but our classic free printable calendar looks good in dark Gray, with white lettering. November 2021 online calendar in medium gray. What a great printable planner Our free calendar template available is also avilable in medium Gray banner, with Black lettering. Very nice contrast. November 2021 monthly schedule printable light gray and black November 2021 monthly planner Our classic simple blank calendar printable in a Black and White banner, and gray shaded weekends. Monthly almanac medium gray November 2021 printout Our free calendar printable available in medium Gray banner, with a light gray shaded weekends. 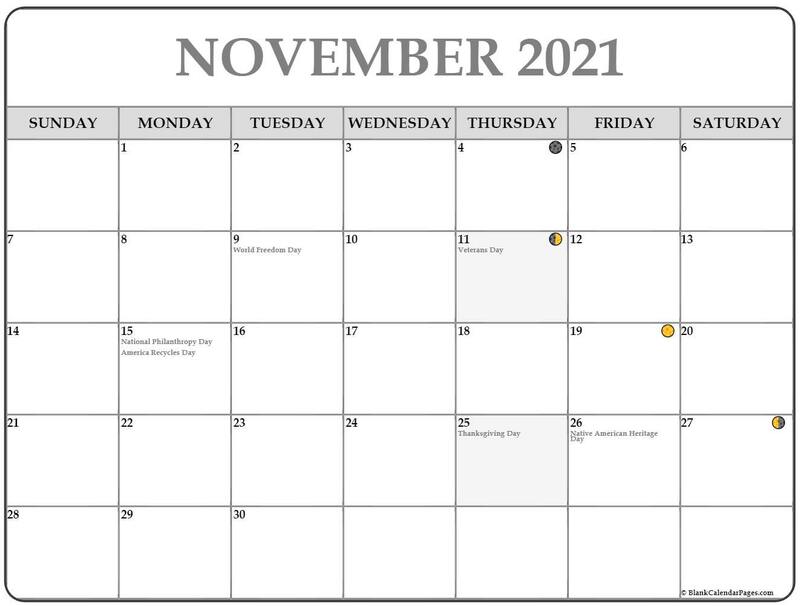 November 2021 template planner light Tan Our classic simple blank calendar in light Yellow banner and Black letters. Easy on the ink. November 2021 template light Blue Our free calendar printable available in light Blue banner, with Black lettering. November 2021 free printable almanac dark Blue. Download or print on demand.. Though a bit heavy on the ink, our classic free printable calendar looks good in dark Blue. 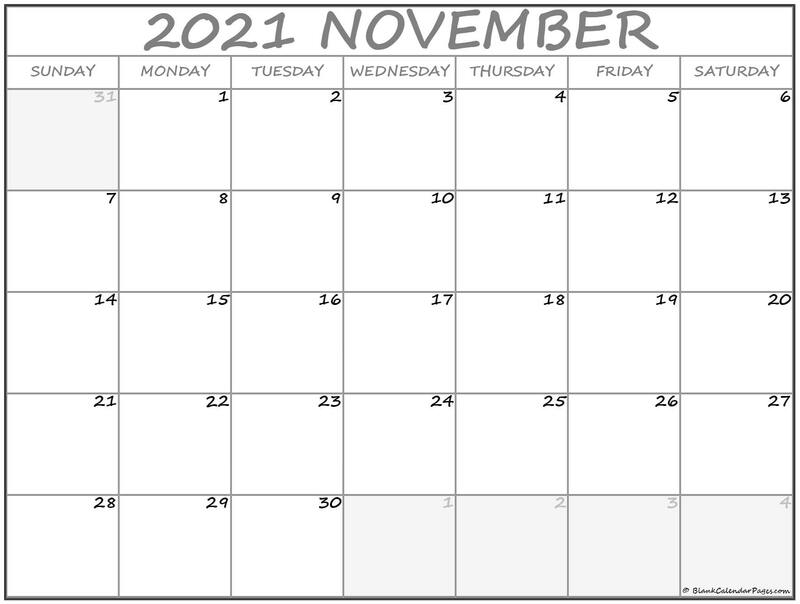 November 2021 center text calendar New grayscale calendar in a light Gray banner and White letters. Nice and bold and always free to print and use.